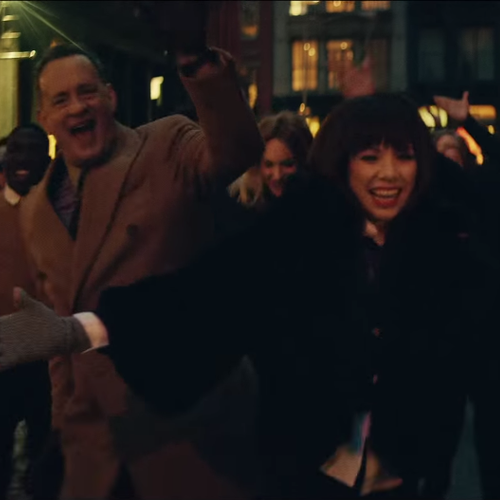 Tom Hanks takes on an AMAZING starring role in Carly's brand new music video. We would NEVER have put Hollywood legend Tom Hanks next to pop superstars Carly Rae Jepsen and Justin Bieber, but that's exactly what's happened! Yep, the Castaway star takes on the lead part in Carly's video for 'I Really like You', which culminates in an amazing street dance-off with Carly and friends... with Bieber himself even making a guest appearance! Fans are LOVING this track so far, with many hailing it as the next 'Call Me Maybe', and it's our first slice of new music from Carly since her 2012 album 'Kiss'. EXCLUSIVE: Carly Rae Jepsen Gives Her Review Of Justin Bieber's New Album 'Purpose'! We Really REALLY Like The Latest Star To Join The #CapitalJBB Line-Up… It’s Carly Rae Jepsen!